The “Samsung Galaxy Tab“ is an android based tablet computer developed by Samsung , the best in the android section . Loaded with features , it boasts to be a “ BETTER“ option . Better option to work and to play as well. It has better screen(including home screen ) , better multitasking with tones of apps , better web applications using flash , better speed with both HPSA+ and WIFI access , better reading , better music , better communication , better office , better multimedia , better imaging, better accessories, and the list goes on. So explore the more and more possibilities to go. Designed keeping all work groups in mind , serves one and all equally well. Go, grab one . 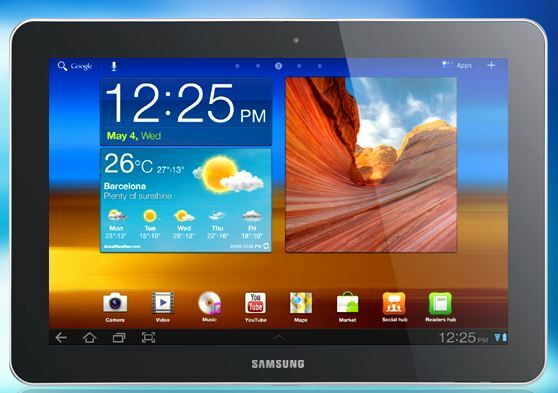 Samsung Galaxy Tab 10.1, the best tab in the android segment. Check out the following features and specification. Video HD, 1080P @ 30fps. Support all popular video format. It current price of roughly Rs 29,500 in India makes it worth a buy.